Glaucoma is the most prevalent cause of blindness in the United States. It affects over 64 million people all over the world. As pervasive as glaucoma is, there is still a lack of awareness among people in regard to the disease, how it progresses and what causes it. Here at the offices of Hofacre Optometric Corporation in Chino Hills and San Dimas, our optometry specialists are educating people about glaucoma and the things they can do to save their sight. Most people are surprised to learn glaucoma is a group of diseases that as collective unit damage the optic nerve. It should be noted that damage to the optic nerve is not always caused by elevated pressures in the eyes. There are some instances where the pressures in the eyes are within normal limits, but the eyes sustain damage because the optic nerve is weakened. One of the reasons why glaucoma is such a threat to vision is because there are rarely any warning signs or symptoms in its early stages. Visual changes and the loss of vision caused by glaucoma progresses slowly as it diminishes peripheral vision. Most people only realize they have something wrong with their eyes when they start having notable changes to their vision. Due to the nature of how the disease progresses, our optometry professionals recommend people have a comprehensive eye exam annually. Many of the patients we see are under the impression that Glaucoma is a condition they don’t need to worry about until their later years. Our eye doctors want to impress upon people the truth about glaucoma. The condition can manifest itself in people of all ages. There are some risk factors that make some groups of people more susceptible to glaucoma than others. Some of these factors include people who have a family history of glaucoma, diabetics, people over 60 years of age, people who have had prior injuries of the eye, and people who have a history of steroid use. 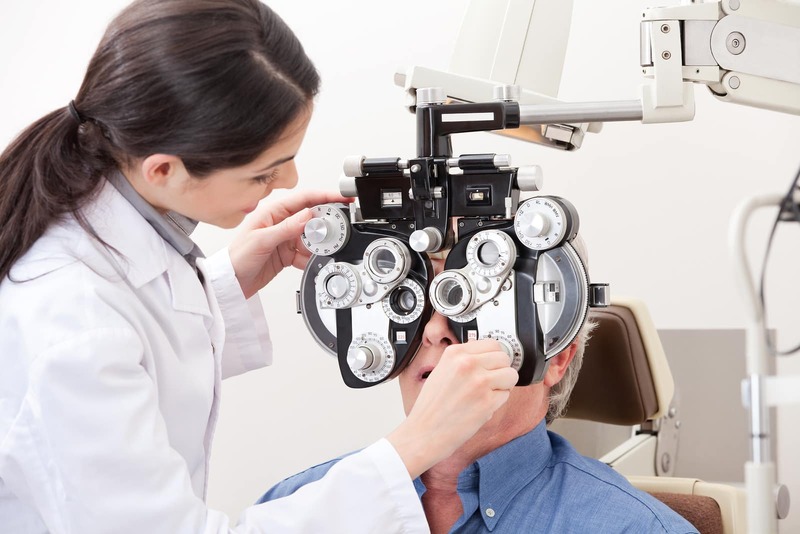 Our team here at Hofacre Optometric Corporation suggests people who have one or more of the risk factors associated with glaucoma to have their eyes examined once a year. We also encourage all people to be mindful and take note of any visual changes they notice no matter how small those changes might be. The little things people deem as insignificant can turn out to be an indicator of a serious eye disease. Give us a call today to schedule an appointment at our Chino Hills location at 909-628-0091 or our San Dimas location at 909-394-4545.